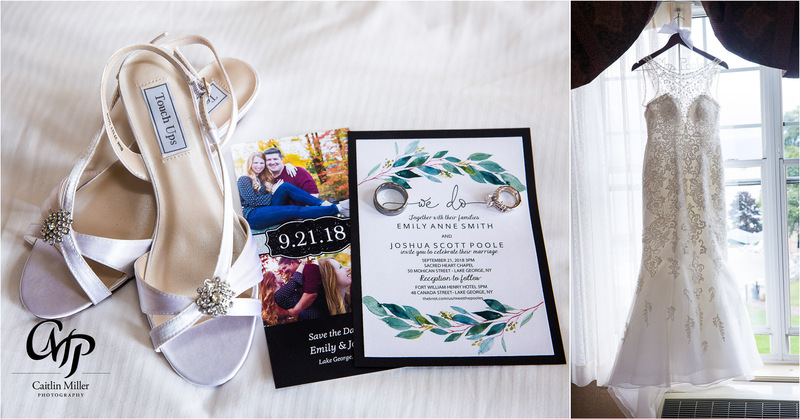 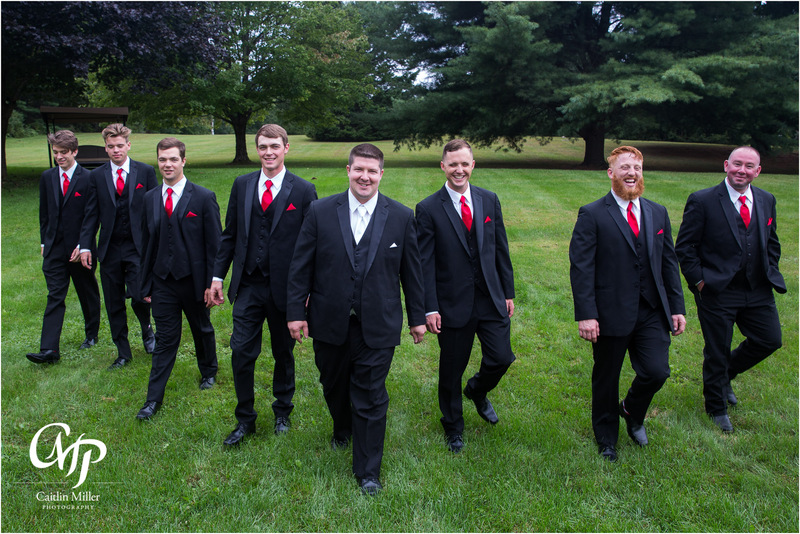 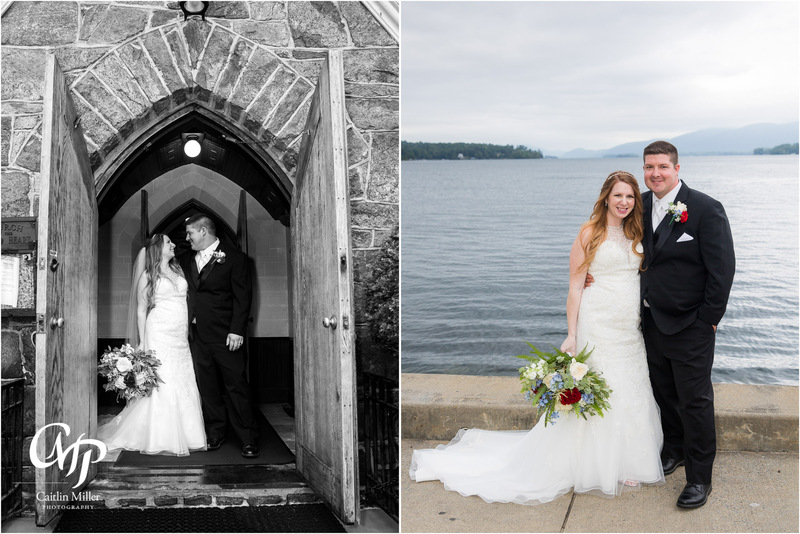 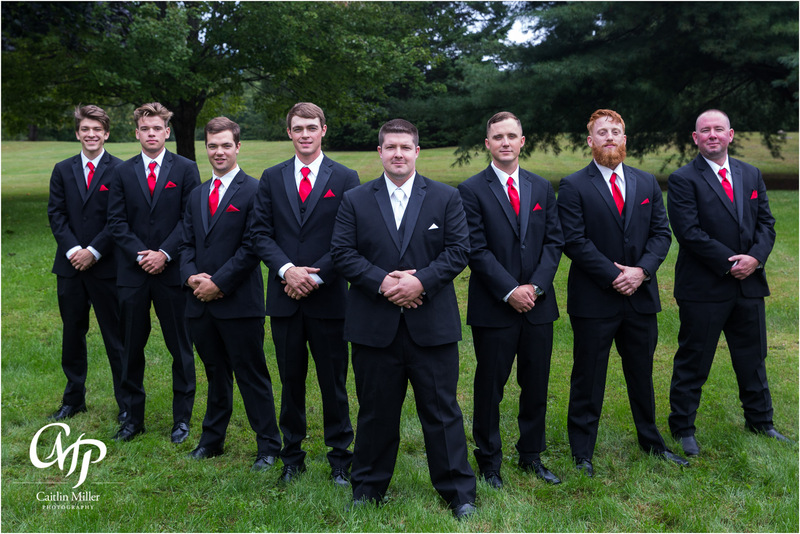 Emily and Josh’s Americana themed wedding day began with the groom and groomsmen – who got ready at the groom’s home in Queensbury. 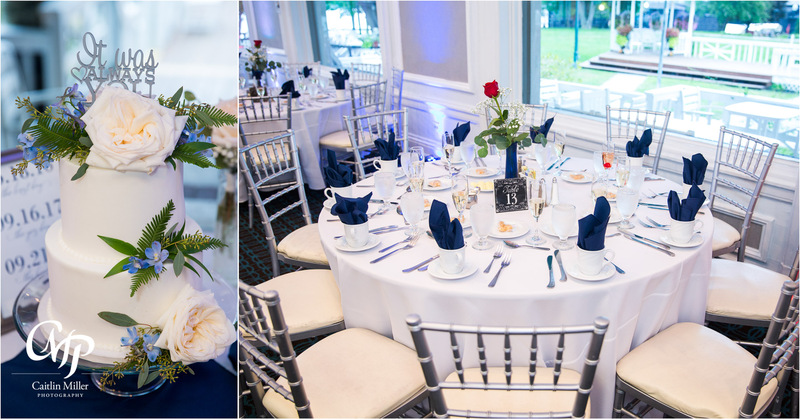 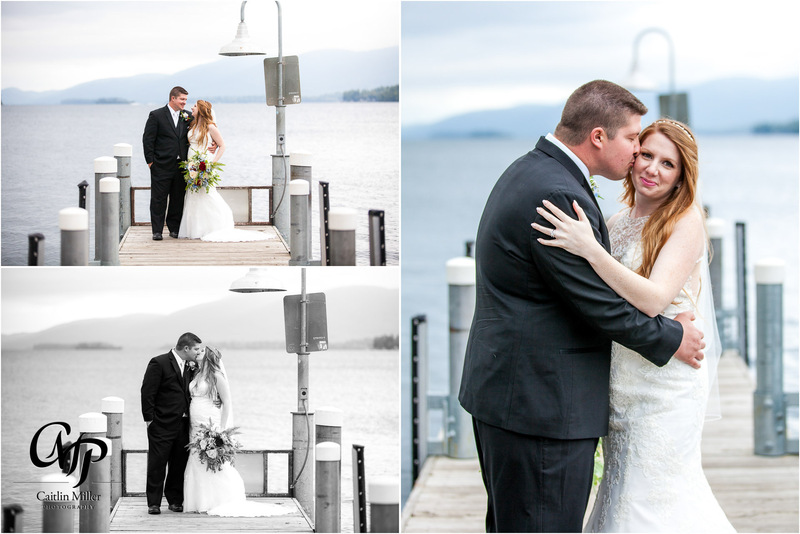 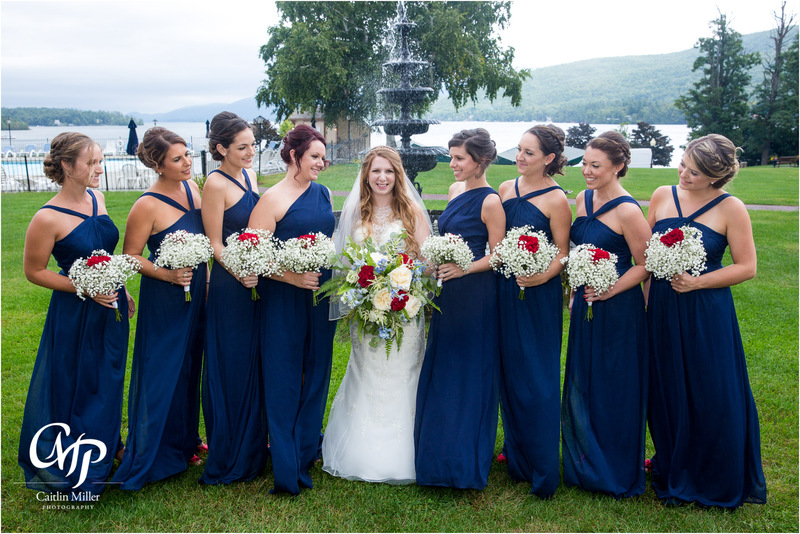 Meanwhile, the bride and her bridesmaids had hair and makeup done at the Fort William Henry Hotel. 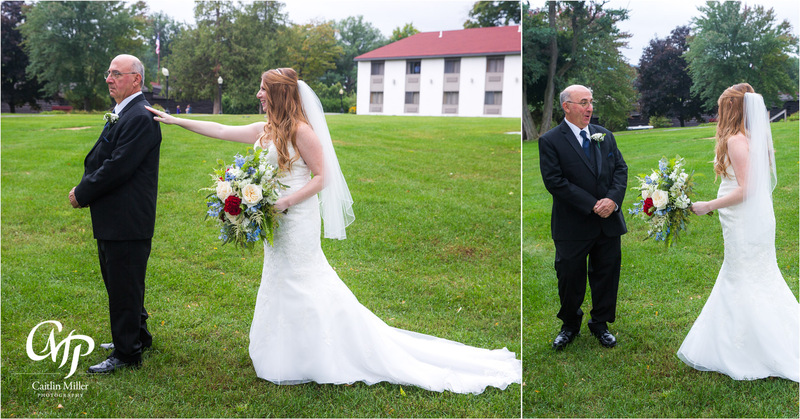 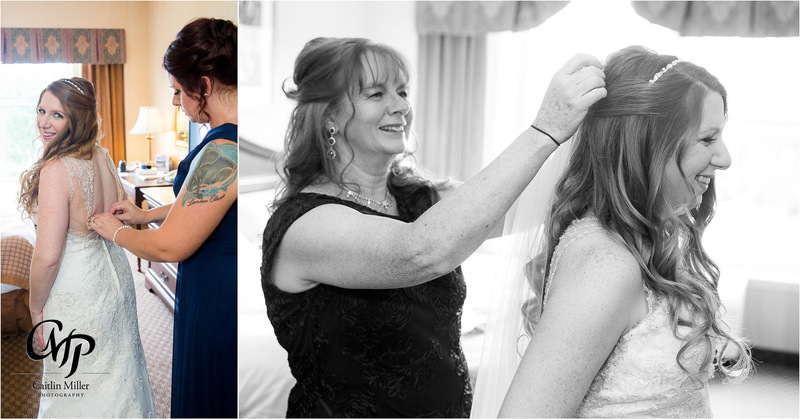 Emily’s mom placed her veil and made sure the bride looked perfect before she headed to the lawn for an emotional first look with her father. 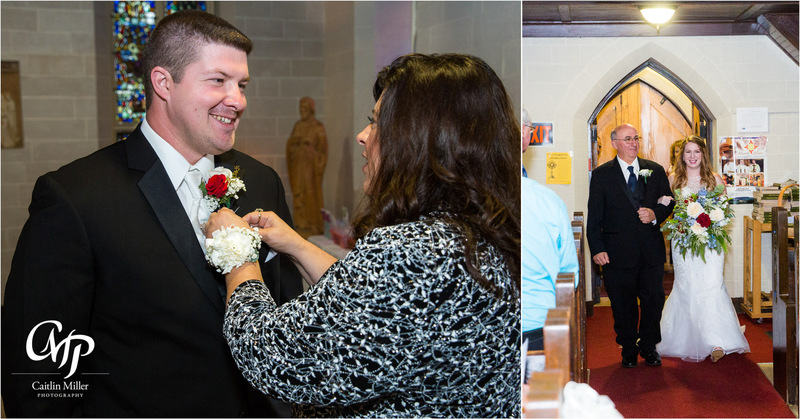 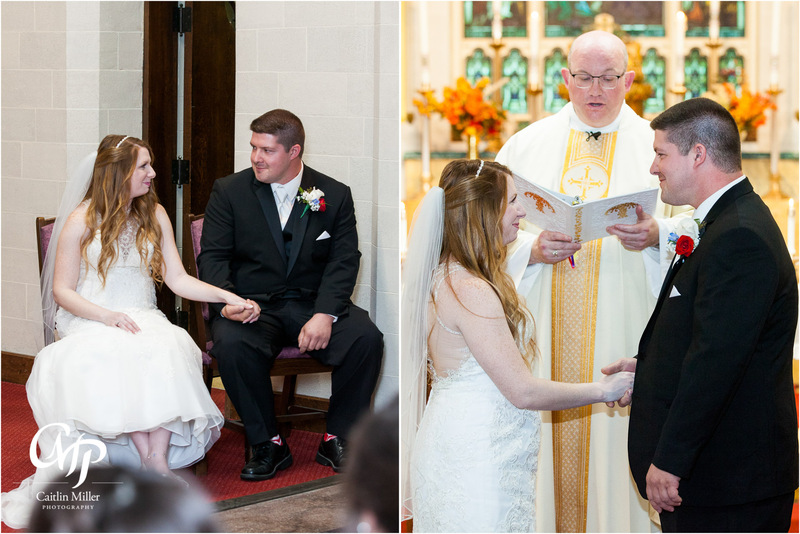 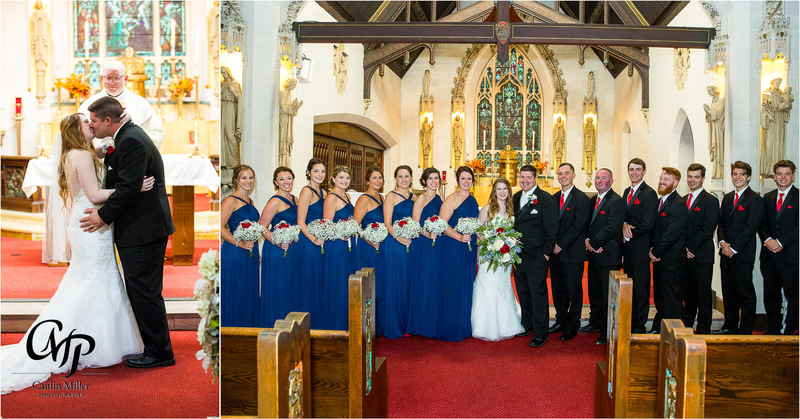 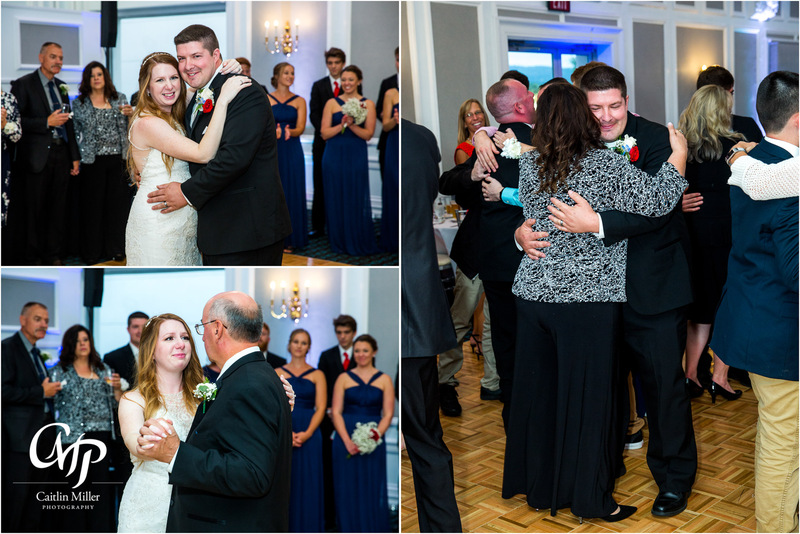 The bridal party and family then traveled to Sacred Heart Church, where Emily and Josh shared a traditional Catholic wedding ceremony. 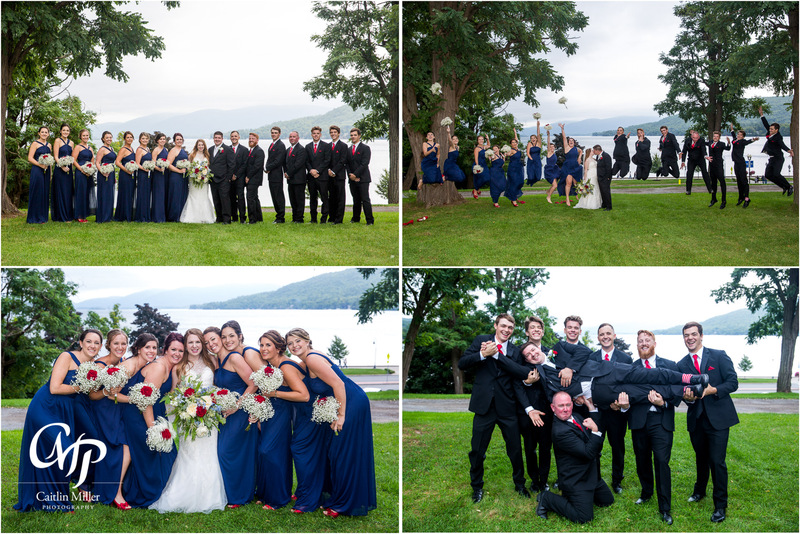 Following the formal ceremony, the couple took fun wedding party photos before heading the the lake for some intimate couple’s photos. 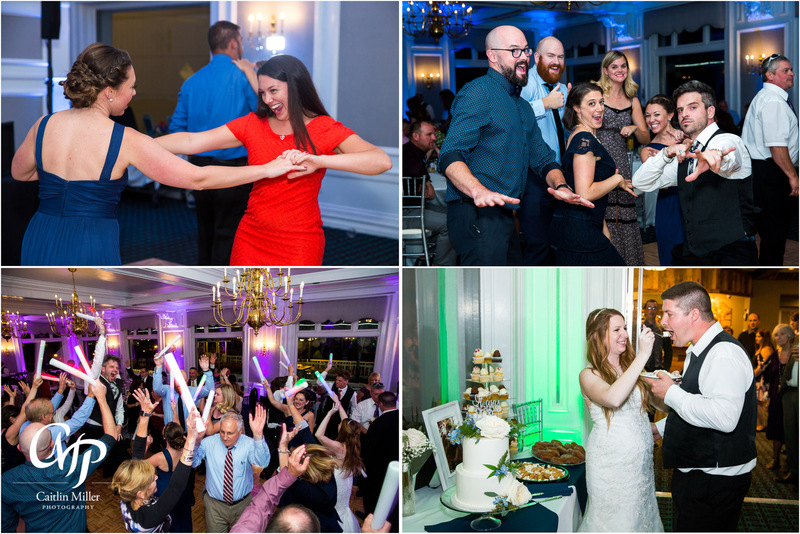 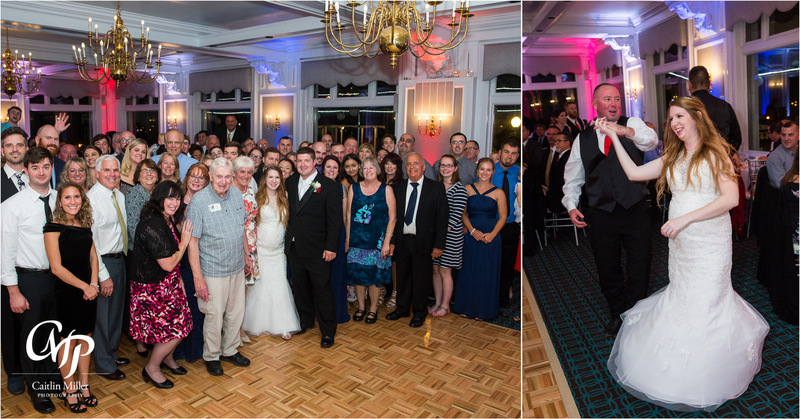 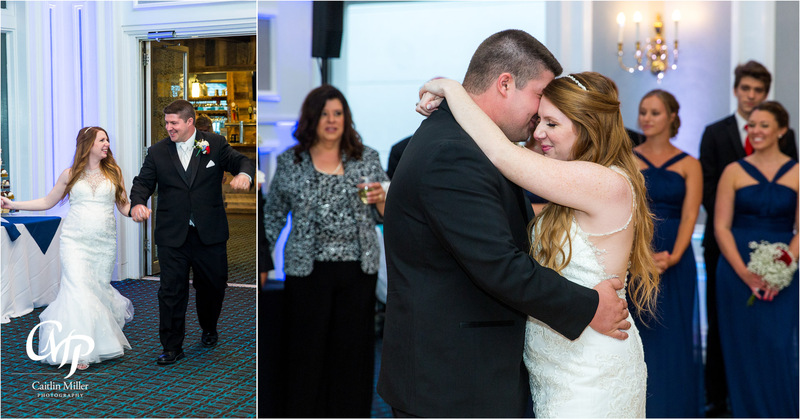 At the reception, the party kicked up as DJs Mark and Mike played fun dance songs for the guests and hosted traditional wedding activities. 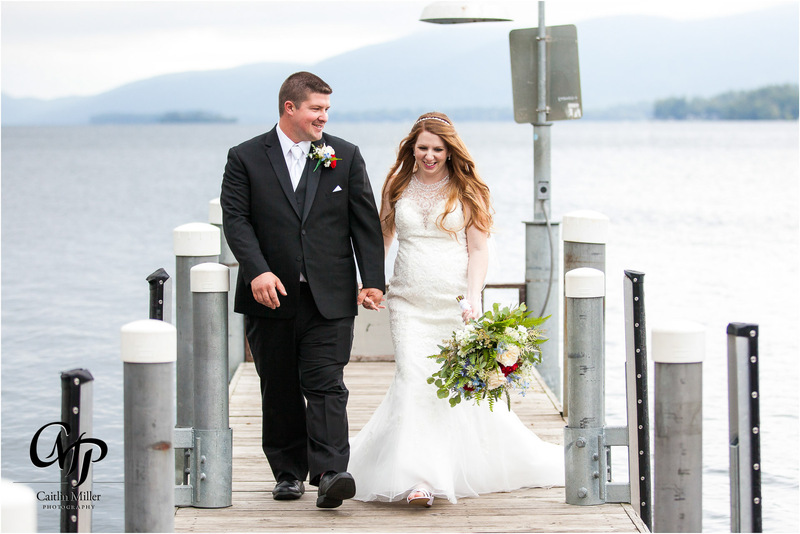 The newlyweds stepped out with photographer Caitlin for some romantic night photos – complete with sparklers! 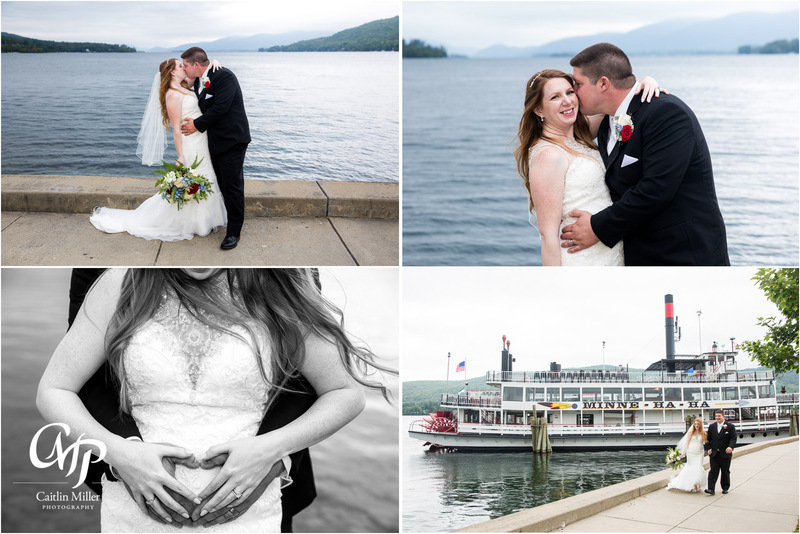 Best wishes to this sweet couple – and their little one on the way!